Testing at CGCA - All the students at CGCA take the same District-wide tests as their regular-Ed peers. Utmost care in adhering to the testing procedures and regulations is essential. Our testing coordinator will meet with us to give us pertinent information regarding testing, as will the Program Managers. Testing at CGCA includes: Georgia Milestones, MAP, GAA and GKIDS. Students in grades 3 through 8 take the GMAS EOG ELA and Math. ​Students in grades 5 and 8 also take the GMAS in Science and Social Studies. Georgia Milestones Online Test Administration Demonstration​: effective Winter 2015.
to each domain is provided. The newer presentations are at the top of this list. Finding Georgia Milestones Resources on ACORN. These are training modules which include two examples of constructive response items in language arts and mathematics, and suggested teacher feedback to student responses, have been developed for elementary, middle and high school classrooms. The link above takes to a chart that outlines the distinctions between criterion-referenced and norm-referenced testing. These tests are said to be SIMILAR to what the Georgia Milestones will be like. 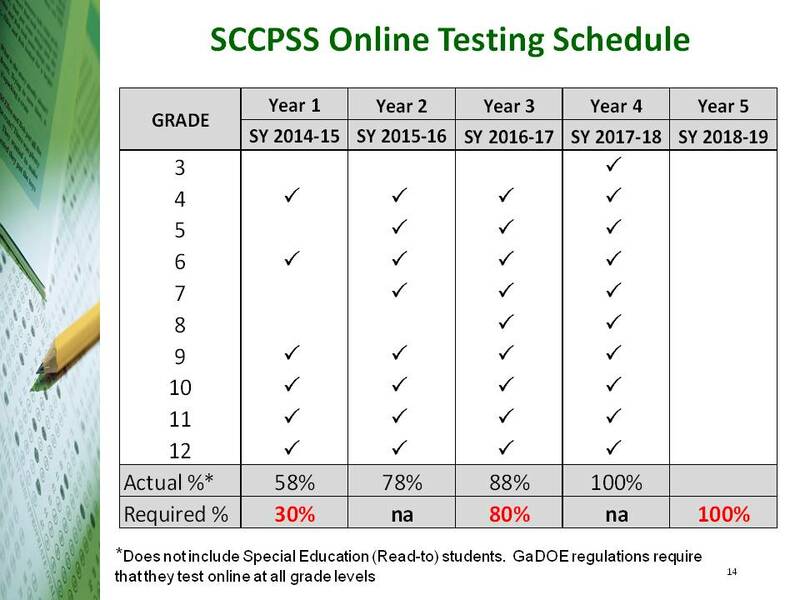 The Old Testing Resource page has many links to CRCT and EOCT practice. Although the tests are different, many of the skills are the same and much of the old resources may still be useful.